Country schools were not only the heart of our pioneer history and patriotic development as a young nation, they also provided an outstanding learning environment with small teacher to pupil ratios, family friendly flexibility, and a neighborly spirit that enabled several generations of Otoe County students to survive and flourish. 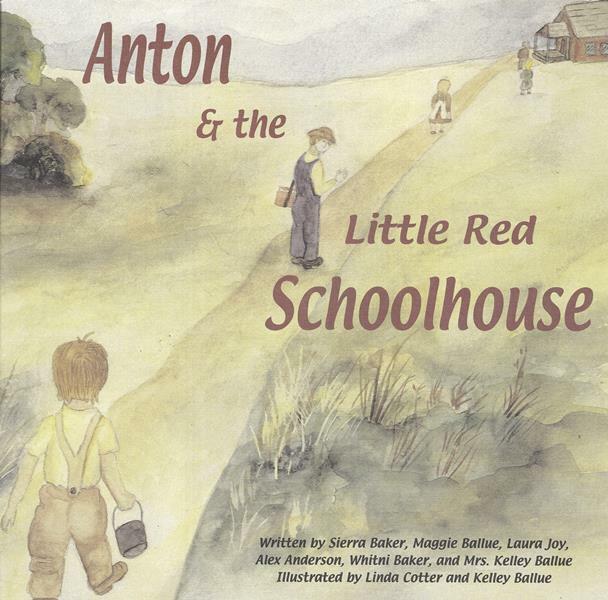 Anton and the Little Red Schoolhouse was a product of one of those classrooms still flourishing at the turn of the 21st century at McCartney School, District # 17 in Nebraska City. 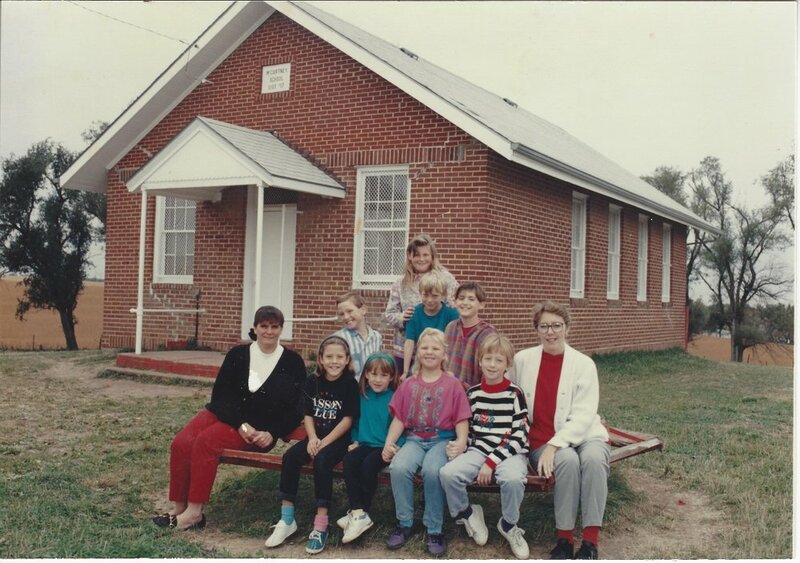 Teacher, Kelley Ballue, and a group of her elementary students, Sierra Baker, Maggie Ballue, Laura Joy, Alex Anderson and Whitni Baker, decided to bring their history lessons alive by researching the local life, agriculture, technology and early settlers of their McCartney School community. In doing so, as they scoured an old trunk full of records and photos, they discovered that students who attended their very schoolhouse in the 1920’s were still living in the area. So they called Mr. Anton Wirth, 82-years-old at the time, and invited him back to school to share with all of the children, stories and memories about what it was like to go to school at McCartney when he was a child. In an effort to preserve and cherish these former times, the teacher and students decided to turn their research into a book – and the rest is history…. This beautiful school no longer stands. It was on the National Historic Register in Otoe County. It survived a fire and a tornado during its lifetime, to end up being torn down.